SAN MATEO — CSM Ethnic Studies presents the fourth annual Asian Pacific American Film Festival on Saturday, May 4, at the CSM Theatre, College of San Mateo, 1700 W. Hillsdale Blvd. • “Jake Shimabukuro: Life on Four Strings” (2012), directed by Tadashi Nakamura. The film follows Hawaii’s homegrown musical hero whose love of the ukulele has transformed all previous notions of the instrument’s potential. • “Among B-Boys” (2012), directed by Christopher Woon. A documentary about the Hmong American youth community and how the hip-hop dance form of b-boying/breakdancing fit into their lives. • “Blossoms and Thorns: A Community Uprooted” (2012), directed by Ken Kokka. A compelling documentary on the Japanese American flower-growing families in Richmond, who were uprooted from their homes and businesses and spent the war years incarcerated in barren desert camps. Post-show Q&A with the director. 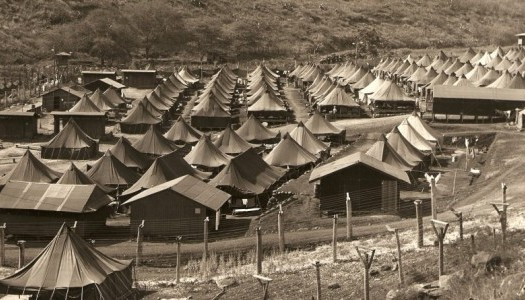 • “The Untold Story: Internment of Japanese Americans in Hawaii” (2012), directed by Ryan Kawamoto. Within 48 hours Japan’s attack on Pearl Harbor, authorities arrested and detained over 2,000 persons of Japanese ancestry in Hawaii. Post-show Q&A with the director and guest facilitator Carole Hayashino, executive director of the Japanese Cultural Center of Hawaii. Both the afternoon and evening programs will feature a special performance by Halau Ha’a Kea o Kinohi with Kumu Hula Paul K. Neves. The cost is $5 general, $3 for students and seniors. Free parking is available in Beethoven Lot 2. For maps and directions, click here.